On July 8th, 2012 The Sparrow Project was honored to play a role in coordinating, promoting, and developing a media strategy for an action targeting a Romney 2012 Campaign fundraiser at the Southampton home of billionaire David Koch. This action was part of a non-partisan coalition effort with widespread support from both mainstream and grassroots groups who wished to challenge the pervasive role of Koch money on policy making. In the days that followed the action, Koch’s Public Sector offices in Washington D.C. launched a venomous (and bizarrely unprofessional) counter attack against Sparrow Project cofounder, Andy Stepanian. Shortly thereafter Koch Industries made an announcement that David Koch would be attending the Republican National Convention as a delegate for the state of New York. To coincide with David Koch’s attendance at the RNC the Sparrow Project released a detailed counter-response to the published attacks Koch Industries released through their press office. 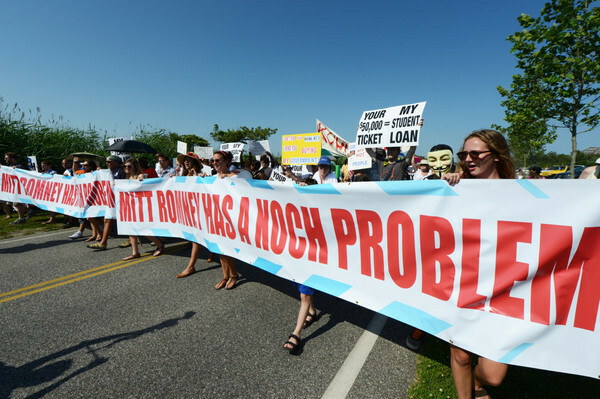 While Mitt Romney was scheduled to make four appearances at Southampton events on July 8th, the coalition made a conscious effort to not have protestors attend any events other than the fundraiser at David Koch’s home. 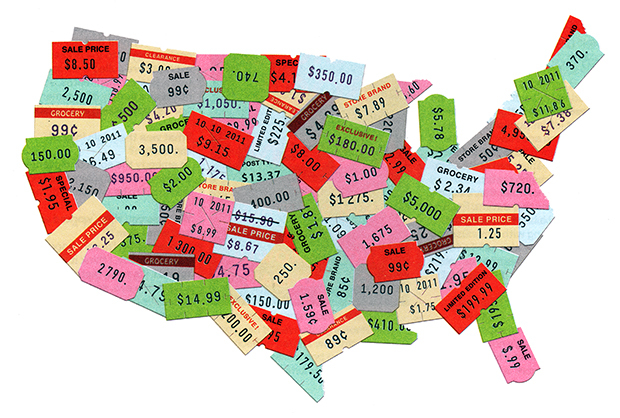 This was done in an attempt to assure that the narrative would not become preoccupied with Mitt Romney but rather stay focused on the issue of money in politics, specifically money with strings attached to the petrochemical industry, the military industrial complex, and similar business interests that would place capital over compassion and profit over people. As part of the action’s media strategy a list of ten talking points related to the Koch brothers was printed up and handed out to those who attended. This talking point sheet stirred Koch Companies Public Sector President and COO Phillip Ellender into releasing an immediate response through their DC press office challenging each of our listed talking points and went further to single out Sparrow Project cofounder, Andy Stepanian as a “convicted terrorist” wholly responsible for the demonstration. You can read our exchange with Koch Industries HERE. While only 200 people attended the action, a focused media strategy, creative visuals, and an airplane-pulled banner that read “Mitt Romney has a Koch Problem” made the action a success. In the week that followed the action we received favorable news coverage from hundreds of national media outlets, including 7 separate write-ups in The New York Times. For background we would encourage you to read Natasha Lennard’s article for Salon, Michael Tracey’s coverage for Mother Jones or Jessica Yellin’s report for CNN, as these phenomenal pieces do a great job of communicating the action’s mission as well as the sentiments of those who participated. We have also included a long-form roundup of media coverage below. Hundreds Protest Romney Fundraisers in Hamptons – Democracy Now!